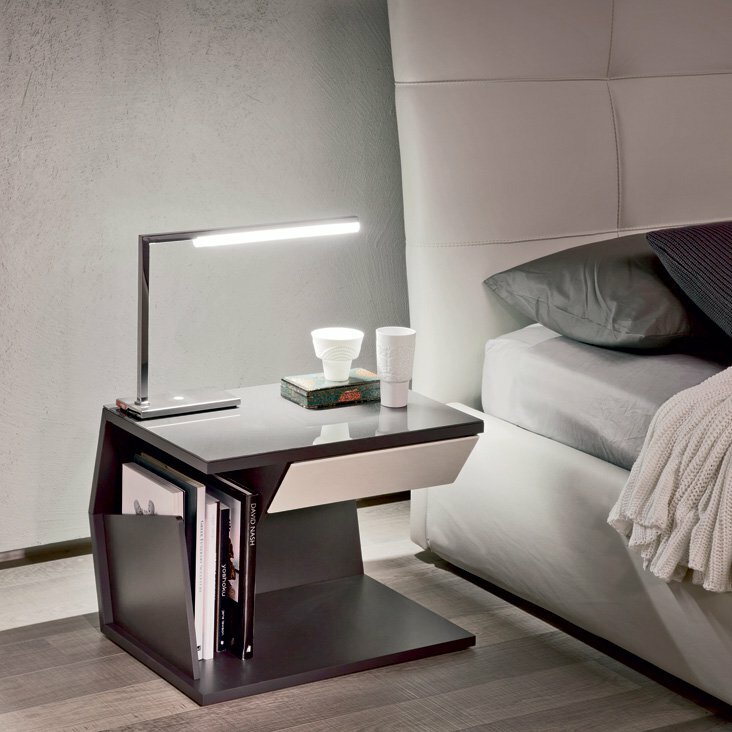 An ultra modern end table/nightstand in white or graphite embossed lacquered wood, with a matching glass top. Drawer with front and side covered in soft leather (various colors). 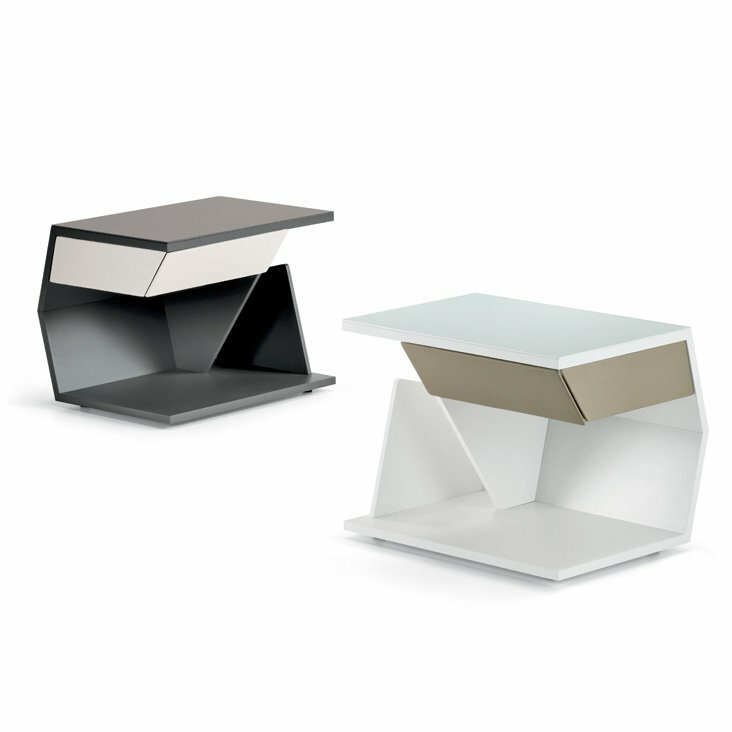 Top in extra clear white or graphite painted glass. Available with the drawer on the left or right.